Last week marked the end of a busy period of hard work, revision and exams for Year 11 as they celebrated in style with their Completion Assembly and Prom. The annual Completion Assembly gave the year group a chance to look back over five years at Falmouth School with photo and video memories providing plenty of laughs and a few tears, as teachers and parents joined students to celebrate. The main event took place the following night, with the 2018 Prom. 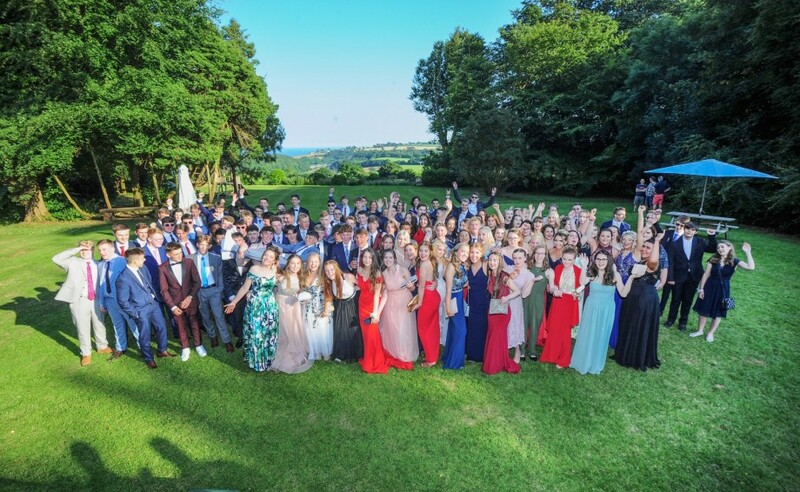 It was a chance for students to let their hair down after a busy few months with over 150 students in attendance at the Penmorvah Manor hotel, which held the event for a fourth consecutive year. It was another gloriously sunny evening after a superb spell of weather in Falmouth, providing a stunning backdrop with the picturesque views from the hotel. Students arrived in the normal variety of eye catching vehicles on what was a perfect and popular night for convertibles! The girls arrived looking glamorous in their gowns, with the boys equally dapper in their suits and tuxedos and as is tradition, the students took to the hotel lawns for a group shot. Students then headed inside for a three course meal, enjoying each other’s company potentially for the last time together as a year group.